This dazzling chilli prawn pasta salad recipe is a riot of colour and flavour, and can be on the table in 30 minutes flat. Use one chilli for a gentle heat, or two for a more fiery finish to this sizzling dish. If you can't find orzo pasta, use another small pasta shape of your choice. 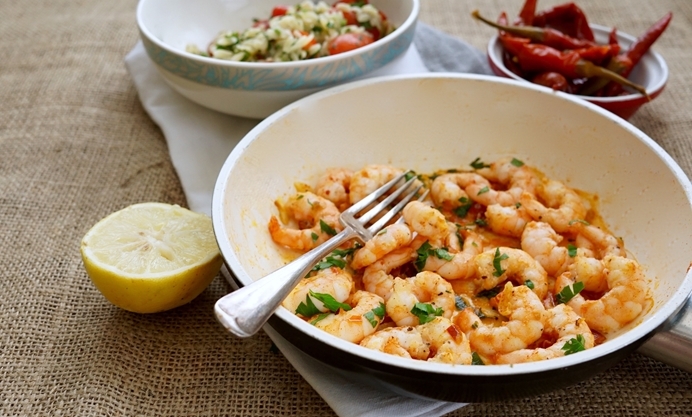 This is a fast and flavoursome way to serve prawns, and ideal for a quick and satisfying supper. Simply pan-fried in butter infused with chilli and garlic, they stay juicy and delicious, caramelising slightly on the outside. Preserved red chillies are perfect for this dish – they’re just fiery enough to add a real kick to the prawns, but enhance rather than drown out the delicate sweetness of the seafood. They also have a slight tang that is perfect with the richness of the prawns. You can add as much chilli as you like – one chilli gives a more conservative warmth, while two makes everything pleasantly mouth-tingling! 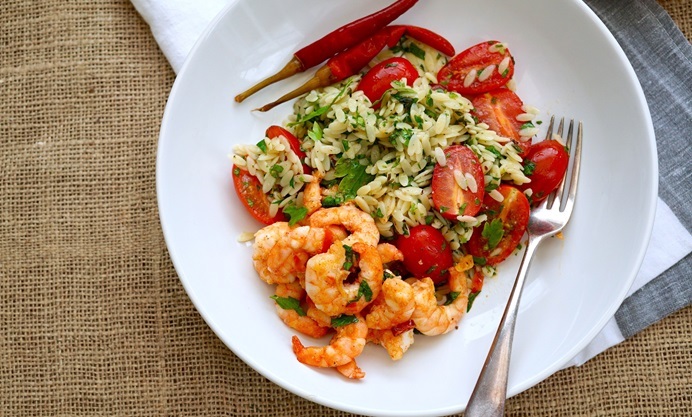 The buttery, spicy prawns are fabulous spooned over a hearty mix of orzo (rice-shaped) pasta, fresh herbs, cherry tomatoes, olive oil and lemon. 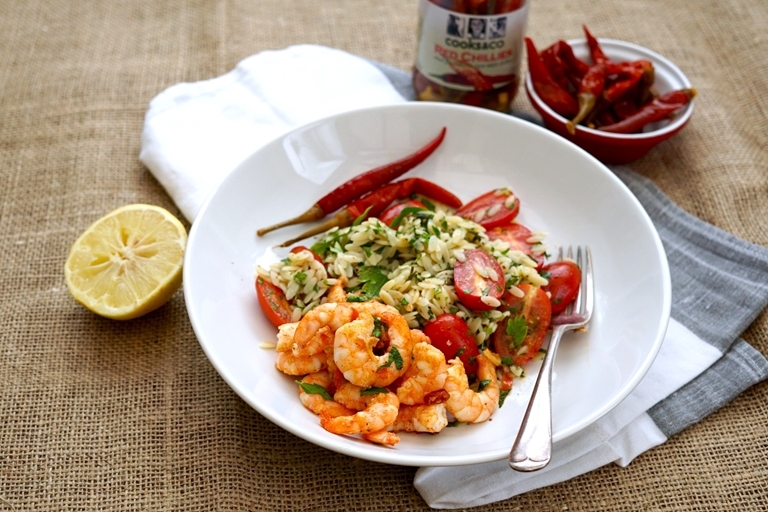 The tomatoes give a pleasant pop of acidity, while the orzo soaks up all the buttery juices from the prawns, peppered with aromatic herbs. It’s a healthy, vibrant bowlful, tangy and rich and spicy, and can easily be thrown together on a busy weeknight.